Algeria in uproar as Saudi official calls Hamas a ‘terrorist’ movement - The Maghreb Times ! 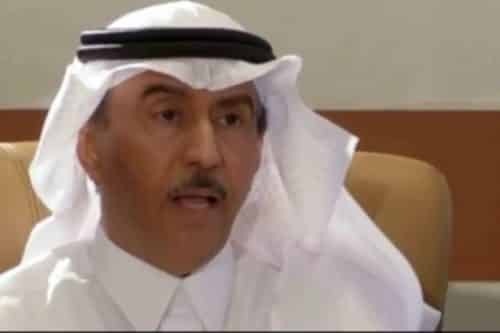 Saudi’s ambassador to Algeria, Sami Bin Abdullah Al-Saleh, has caused anger for his comments describing Hamas as a “terrorist” movement. “The right to resistance is guaranteed for an organisation, not for him to stay at a five-star hotel in Qatar and from there run conspiracies. He is supposed to be with his people and present his cause to his people,” he added in reference to senior Hamas officials who reside in Qatar. Nasser Hamdadouche, head of the parliamentary bloc of the Movement for Social Peace, criticised the Ambassador’s comments. We do not want the Algerian state to be involved in these shameful positions towards the Palestinian cause, nor to engage in this attempt to be open to Israel. “We expect the Algerian diplomat to summon the ambassador to inform him of the position of Algeria and demand his respect to the Algerian people and their position in support of the liberation of Palestine and Al-Aqsa,” Ahmed Al-Dan, secretary-general of the National Construction Movement, said. The ambassador is expected to take into consideration the general sentiment of the Algerian people. He’s free on where his country stands, but diplomacy has its traditions that should not be overlooked. “Algeria is with Palestine and with resistance. You cannot say the opposite in Algeria,” activist Yemse Meneghi Yahyaoui wrote online.